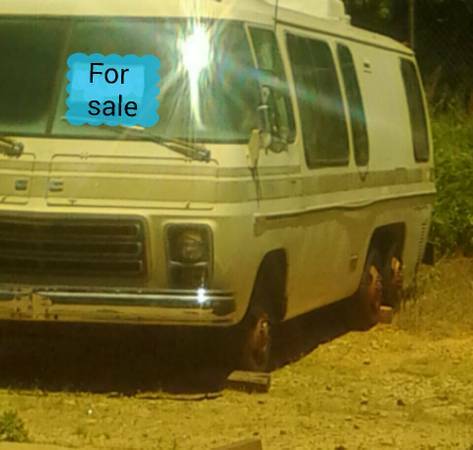 Description: This is a used GMC 26′ motorhome for sale CHEAP. $1900 or BEST OFFER. Runs fine but has not been used for the past few years. There is NO TITLE for this motorhome. 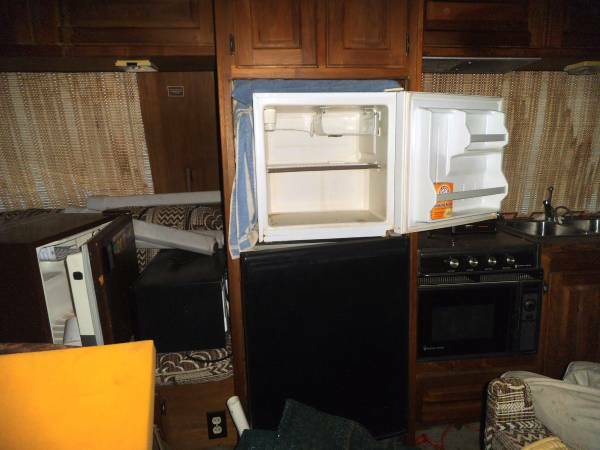 The previous owner passed away & the paperwork has not been completed. The title may be obtained through the BMV [it just takes a little time]. We will furnish a signed Bill of Sale so you can get the title. Has the Oldsmobile big block 403 engine with front wheel drive transmission. 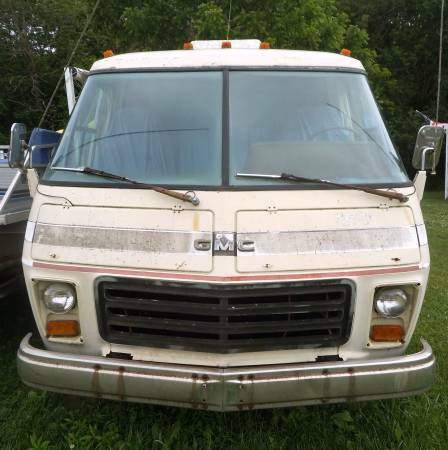 The parts alone on this GMC are worth much much more than this asking price. This is a complete motorhome. 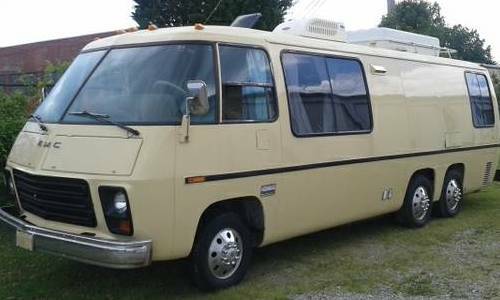 The GMC motorhome was produced by the GMC Truck & Coach Division of General Motors for the 1973 through 1978 model years in Pontiac, Michigan, USA. 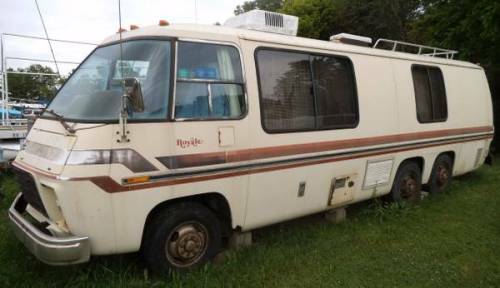 It was the only complete motorhome built by a major auto/truck manufacturer producing what GMC hoped would be their halo vehicle. Part of the reason this vehicle is so different from other motor homes of the era is that it was not conceived as just a “camper,” but as a vehicle for comfortable travel as well. The design was radical for the day with front-wheel drive and a low profile, fully integrated body. 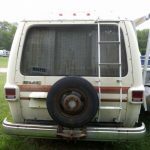 At the time (as now), motorhomes were built by recreational vehicle manufacturers on bare frames and drivetrains supplied by a chassis manufacturer. 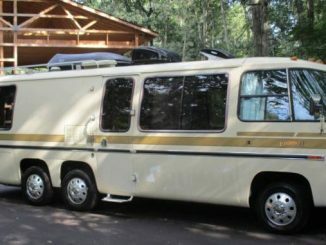 GMC built the bodies and in most cases the interiors in-house, and designed the chassis and drivetrain to create a motorhome enclosure that could be adapted to a range of purposes. 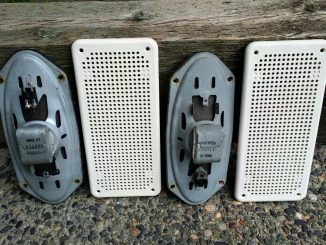 Empty shells were supplied to other RV manufacturers for upfitting the interiors and also to specialty manufacturers for a range of custom purposes ranging from mail delivery and mobile training facilities to people movers and ambulances. It was built in 23-and-26-foot (7.0 and 7.9 m) lengths. Sold for parts or repair ONLY. No information is available regarding the history or condition. The running condition is not known. This item is used and sold AS IS. Due to the location, this motorhome was NOT TESTED for operation. 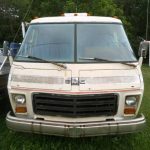 Motorhome may need service and/or parts to make operational. 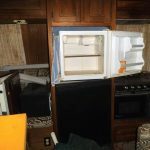 Buyer will be responsible for all equipment, tools, personnel and transportation necessary for loading and removal from site. Pick up only in the New Holland, OH area. Local pick-up only. You are getting exactly the motorhome that is shown in the pictures. You may call me at [REDACTED] if no answer please leave a voicemail message with your phone number.